As our lives become more immersed and intertwined with the digital environment, our children will need a certain amount of knowledge in order to interface and communicate effectively. It’s a matter of basic literacy. Our mission is to give our students a head start in digital fluency through our Coding Camps & Computer Programming Workshops for Kids in Grades 4th to 12th. Coding Camps for Kids, Alpharetta | Johns Creek, Ga – Knowing coding & computer programming is becoming increasingly more essential for kids growing up in today’s digital world. Everything that we see and interact with online is all built with code. Code pervades our lives in everything we do, and is the building block of the digital age. In order to truly be competitive, coding, and computer science, in general, should be seen as an integral part of the student’s education, alongside other science, technology, engineering, and mathematics (STEM) courses, such as biology, physics, chemistry and algebra. Ivy Bridge Academy offers coding camps and technology workshops for kids & teens at our Johns Creek, Ga. campus, where they will learn coding, computer programming and game design skills in a fun interactive way. Students will learn programming concepts and coding terminology such as procedures, loops, and conditionals. Ivy Bridge Academy Coding Camp for kids & teens focuses on hands-on coding & programming skills. Students will learn code by doing. Coding programs, fun interactive games, simple websites, and even mobile apps! The knowledge learned at our Coding Camp will allow kids to devise unique solutions that’s based on each child’s own individuality. Coding & programming opens many possible doorways to a solution; we encourage each of our coding camp students to follow their own coding path. Our goal is to give our students the coding knowledge and skills to allow them to be artists. 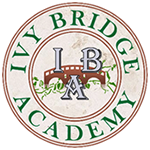 Ivy Bridge is offering coding camps for kids to in 4th to 12th grades. Held at our Johns Creek campus, the IBA Coding Camp & Computer Programming Workshop will be hands on programming with instructor lead sessions and individual assignments. This program will improve on the basic computer science principles and then move into more advanced concepts and coding. This class will focus on improving programming skills and promoting individual creativity by working on various fun applications and game designs. The mission with our coding camps for kids is to expand access to coding / computer programming and inspire more children to explore their interest in science and technology at an early age. The idea is to build self-confidence and spark interest in learning how coding & computers work, all to perhaps plant the seed of a future career in programming. Ivy Bridge Academy Coding Camp & Computer Programming Workshop for kids & teens in 4th to 12th grades. This STEM based technology camp for kids who want to learn coding, game design, and computer programming is held monthly with classes held once a week for 4 weeks. The price is $160 per month. Registrations are open now for the 2015-2016 school year. Bring out the tech whiz in your child with our coding camps for Metro Atlanta / North Fulton students! Is your child a fan of Lego Robotics Camps? In addition to our coding camps, we also offer Lego Robotics Camps & VEX IQ Robotics Camps. Our IBA robotics teams compete at both local and national robotics competitions for FIRST LEGO League, and VEX IQ Challenge. See how our Robotics camps in Metro Atlanta can spark the inventor in your student!